The Tierra Adventure and Spa Lodges are a collection of small boutique hotels in Chile, the ‘Top Place to Visit in 2018’, according to the Lonely Planet guides. They are located in three remote and beautiful regions of South America – the arid, colorful landscapes of the Atacama Desert; mythical Chiloé Island, steeped in legends and with a rich culture; and the endless pampas and mountains of Torres del Paine National Park in Patagonia. The hotels are adventure and spa lodges, both family-run and family-friendly. As some of the leading sustainable hotels in Chile, there is a tangible energy and a true sense of place, which guests can enjoy while exploring and making lasting memories. 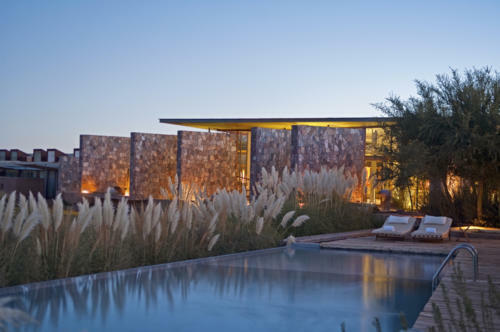 A small, family-friendly hotel in San Pedro de Atacama – a village oasis at the heart of the desert in northern Chile – Tierra Atacama blends ancient heritage with contemporary design and impeccable service. Your all-inclusive Atacama adventure will begin with elegant and eco-friendly architecture, iconic vistas and creature comforts, such as delightful cuisine and inviting wellness facilities. All of this can be enjoyed throughout our boutique hotel, before setting off to explore San Pedro de Atacama. What’s more, our friendly and welcoming staff and guides are on hand to not only help make good use of your time here, but will also ensure that your presence – just as ours – is in harmony with the land itself; an integral part of any experience with Tierra Atacama. 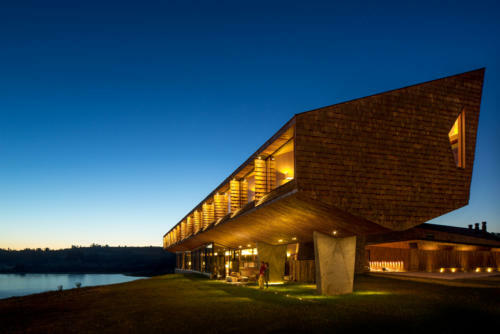 A boutique retreat, set on rolling green hills with inspiring sea views, Tierra Chiloé’s welcoming team of staff will readily share the mysteries and legends of this unique island with you. At Tierra Chiloé you will find a strong relationship with the landscape, wildlife and local communities, but also get to enjoy our wellness facilities, home-grown cuisine and eco-friendly architecture; all integral parts of the Tierra Chiloé experience. During your all-inclusive stay, Tierra’s expert staff and guides are there on hand to help uncover the somewhat isolated world of Chiloé Island, ensuring that your presence – just as ours – is also in harmony with the island as you explore. 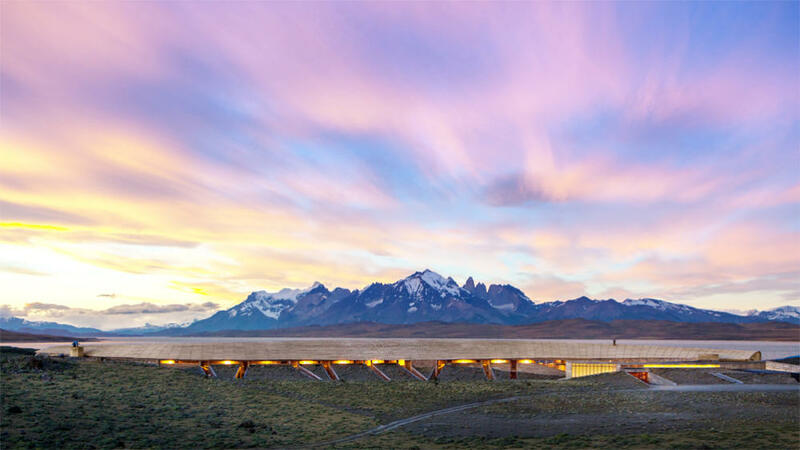 Tierra Patagonia, a boutique hotel in Torres del Paine National Park is a place where couples, solo travelers and families alike can enjoy endless pampering and thrilling adventures. From the moment you arrive and gaze across Torres del Paine National Park, the beauty of region speaks for itself, energizing all who come here. No Patagonia adventure would be complete without trekking the peaks of Torres del Paine, visiting a traditional estancia on horseback or taking a scenic drive to the best lookout points. At Tierra Patagonia we combine this with tasty cuisine, sublime wellness facilities and eco awareness, which is all a part of our all-inclusive program. Our expert staff and guides are always on hand to enhance your stay and ensure that your presence, just as ours, is in harmony with the land itself. 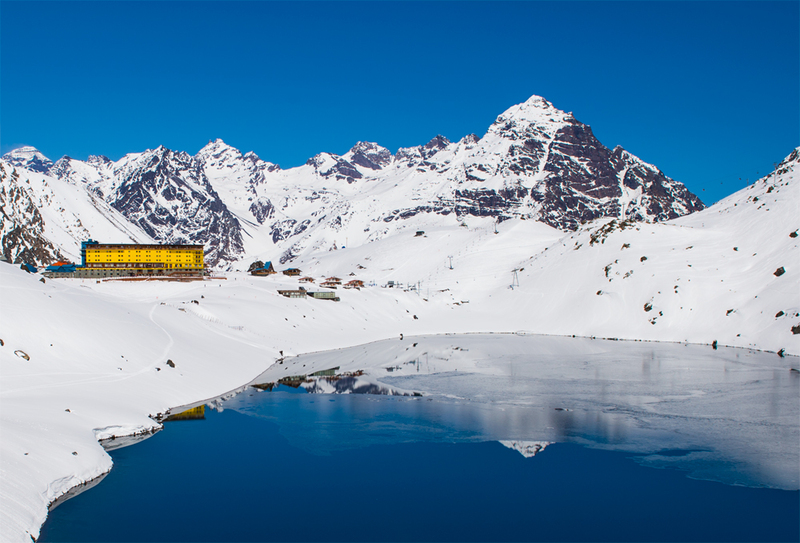 Our sister hotel Ski Portillo is one of the oldest, most well-known ski resorts in South America. Ski Portillo is renowned around the world for its incredible views over Lake Inca; perfect powder snow; and, of course, the family-friendly atmosphere and warm staff. Here is where the tradition of impeccable service, delicious food and hotels designed for the views all began.